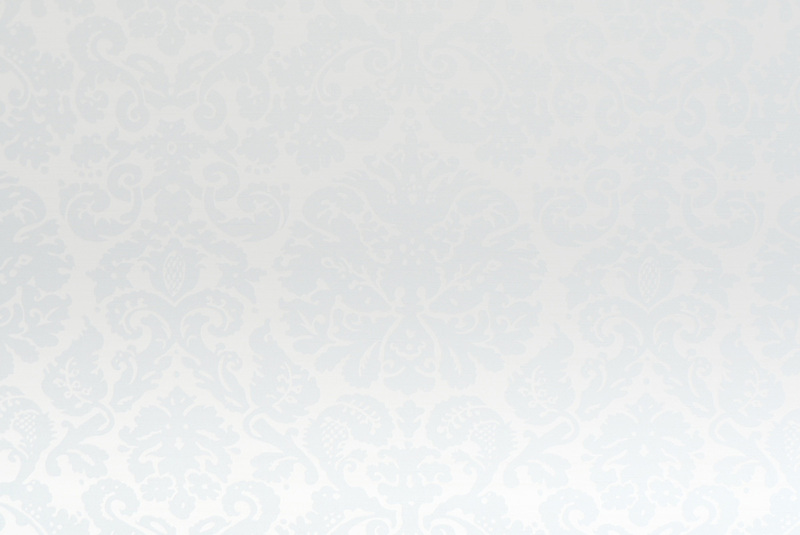 Kelly was recently interviewed for Women In Trade's Winter 2015 'What Do You Know About Survival' Issue. Kelly's feature appears on page 29-33. Direct Trade Supplies - '97% trade workers are male. This woman bucks the trend'. 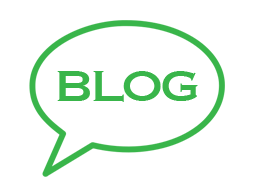 Kelly gave an interview for Direct Trade Supplies which appeared on there blog in November 2015. 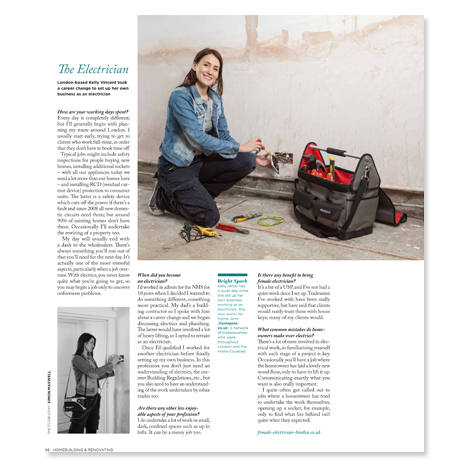 Kelly Vincent was interviewed for a feature entitled 'A Day in the Life of...' for the Feb 2013 issue of Homebuilding & Renovating; a national magazine for self-builders and homeowners renovating, remodelling and extending existing homes. 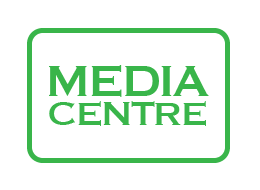 The feature includes Q&As with profiles on a range of professionals throughout the 'homebuilding' industry. 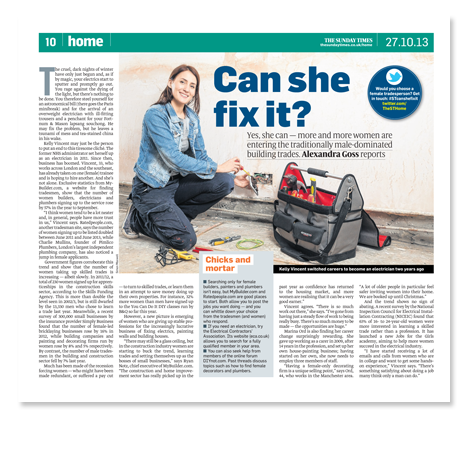 Alexandra Goss, Deputy Editor of The Sunday Times Home interviewed Kelly for an article about the increasing numbers of women going into skilled trades. 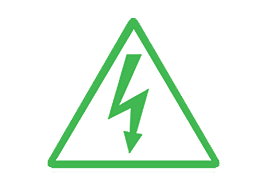 A regular client of Kelly Electrics, Susannah, talks about how she used Mybuilder to get in contact with Kelly Vincent after reviewing her quote and positive feedback. 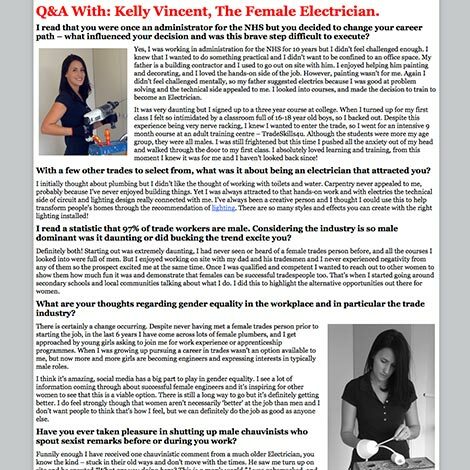 Kelly was also featured in a Blog for MyBuilder.com in August 2013 where she discussed electrics, MyBuilder.com and what it is really like working in a male dominated industry.